Bi Chung-Hak’s eyes turned cold. He spoke up, stroking the sword that was fastened to his waist. “Young Master Bi Chung-Hak. Please heed my words, for they are for you. If you want to talk about ‘taking responsibility’ for your actions, shave off your hair, go to the temple at Mount Song, and plead with them to take you in as their disciple. Later, become a disciple of Shaolin and spend 50 years doing meditations, staring at a wall. Even if you may be a good-for-nothing, you will have the skills to have the right to talk about such things if you train yourself by meditating with the techniques of Shaolin.” The man said, chuckling. Clearly, the words were meant to tease him, and Bi Chung-Hak made a face. Unable to take it any longer, he went for his sword. “Don’t pull out your sword on me.” The man said, and Bi Chung-Hak froze. It wasn’t just because the man spoke up. The man had profound strength in his voice that made Bi Chung-Hak freeze. Sweat fell from Bi Chung-Hak’s forehead. The strength in the man’s words and tone exceeded his by a long shot. The man chuckled softly. “Namgoong HeeWon,” the man answered. At his reply, Bi Chang-Hak became white with shock. He wasn’t the only one who was terrified; everyone else on the second floor who had been listening in on their conversation with interest looked appalled. Sungmin was shocked as well. Of course Sungmin knew of Namgoong Heewon as well. Namgoong Heewon, the Sword Dragon. 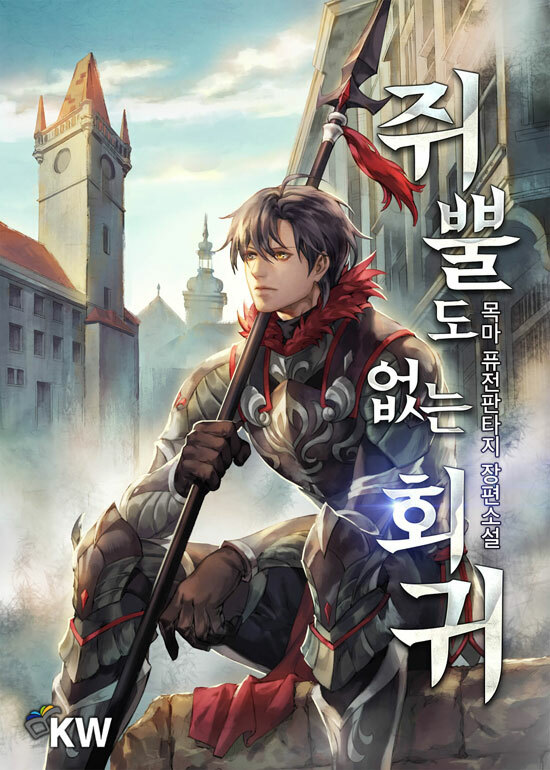 Even before Sungmin’s death in his previous life, Nomgoong Heewon’s name was known all over for being the most competent bloodline of his family name. He also happened to be the only son of Namgoong Baek, the head of the Namgoong household who was also known as the High Sword Master. Therefore, Namgoong Heewon had it all, not only with outstanding skills but also born into an affluent family that had his back. “Mmmm… hmmm.” Bi mumbled. Bi’s bloodline was also known to have great influence in the area, but they were nothing compared to the Namgoong household. Bi took a step back, frowning as if something tasted bad in his mouth. “Consider it a relief this city is ruled by Shaolin. What are you doing? Go sit down and eat.” Namgoong advised and Bi obeyed. Sungmin stared at Bi and over to Namgoong. Once their eyes met, Namgoong smiled at Sungmin and stood up from his seat. “Why is he coming over here?” Scarlett muttered. Namgoong approached their table and greeted the two with a bow. “Dead bodies? What are you talking about?” Sungmin asked. Sungmin licked his lips guiltily at Namgoong’s words. He had had no intentions of killing Bi, but it was true he was considering putting Bi in some sort of danger if he caused any trouble. “Do you want to eat with us, or talk to us?” This was from Scarlett. Scarlett didn’t seem to give the slightest attention to the fact that he was of the Namgoong bloodline. In a way, she being extremely rude, but Namgoong didn’t seem to mind. “I simply want to converse with you.” He replied. “Haha!” Namgoong Hee-Won burst out laughing and pulled out a chair to sit next to Sungmin. Sungmin coughed nervously as Heewon continued to stare at him without breaking his glance. He could tell that it was he, not Scarlett, who had caught Namgoong’s attention. “I see. Just a little away from reaching the Transcendent Level…! Haha! Amazing, you are. I have met many, many skillful individuals and I thought I was quite talented myself!” Namgoong Heewon muttered. He squinted his eyes at Sungmin. Sungmin almost spat out his tea in surprise. He had not expected to hear that nickname here out of all places, and certainly not from Namgoong himself. Sungmin looked at Namgoong with an appalled look on his face. It was the first time Sungmin had heard of Wijihoyeon from someone else. But judging from the time period, it did seem to be around the time Wijihoyeon had settled and started spreading rumors. Of course, this Wijihoyeon was living his previous life, before the two had met. This was the only thing that was different from what Sungmin remembered from his previous life. The Wijihyeon from his previous life was never suspected to be a female. The Wijihoyeon in the present probably didn’t seem to be stubborn on having the appearance of a man. Namgoong Heewon trailed off and looked at Sungmin’s face closely.